This is a developing story, so please keep checking the USGS Hawaiian Volcano Observatory Kīlauea status website for daily activity updates. In addition to status updates, public-domain current photos, videos, and maps are also available. You can also visit the USGS home page, the USGS Facebook page, and the USGS Twitter feed as updates become available. 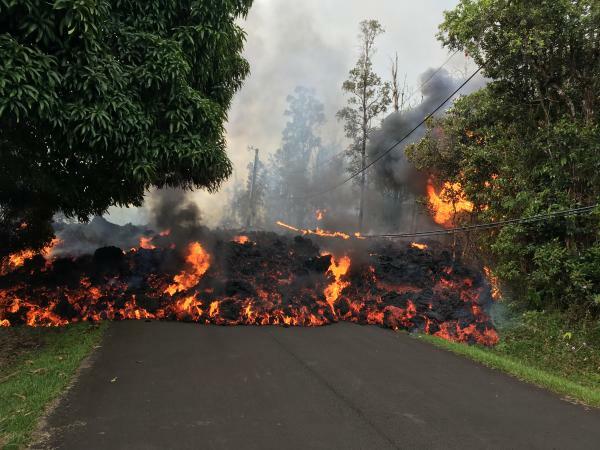 USGS/HVO continues to monitor the situation at the summit and the lower East Rift Zone 24/7 in coordination with Hawaii County Civil Defense and other emergency authorities. HVO geologists are onsite in the area this morning conducting overflights, examining the fissure vent activity for significant changes, and searching for any signs of new or resumed activity.